TEHRAN, Iran Iranian officials say the country is considering a harder line in nuclear talks with world powers: Threatening to step up uranium enrichment unless the West makes immediate concessions on sanctions. The proposed demands  outlined by senior Iranian officials this week  have not yet been adopted as a negotiating policy, but they suggest economic pressures have pushed Iran to consider ultimatum-style tactics to seek relief from sanctions. Boosting enrichment levels also would push Iran's nuclear program far closer to the "red line" set by Israeli Prime Minister Benjamin Netanyahu to consider possible military options and shift world opinion away from trying to rein in Iran through economic pressures and diplomacy. Mansour Haghighatpour, deputy head of the parliament's influential National Security Committee, said failure to negotiate a deal could clear the way for Iran to enrich uranium above the current highest level, 20 percent. 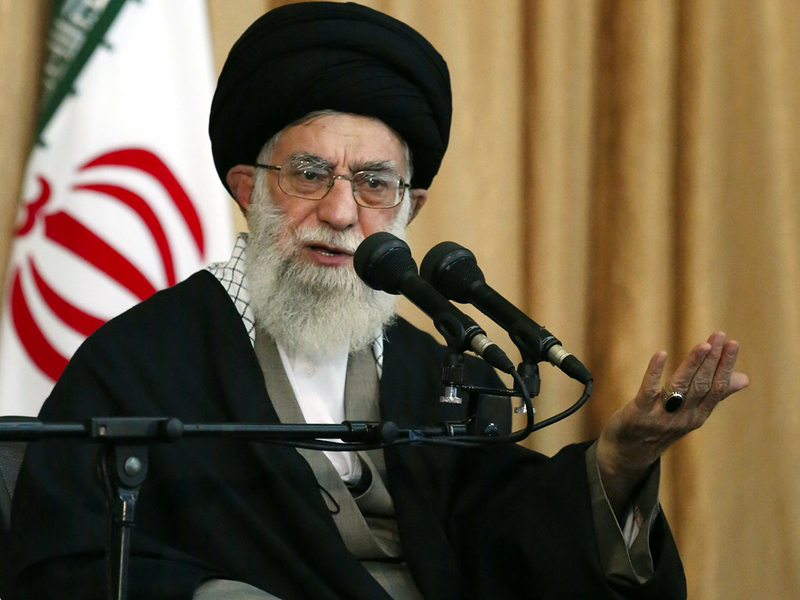 The West fears Iran's enrichment program could lead to nuclear weapons. Iran says its nuclear program is for peaceful purposes. "The West now has a chance to strike a deal with Iran. Perhaps we may need to produce nuclear fuel for large commercial vessels that need 60 percent purity," he told The Associated Press in an interview. That would mark a dramatic move toward the threshold for warhead-grade material at about 90 percent and would certainly bring a sharp escalation in calls for military action from Israel and others in the West. Iran denies it seeks nuclear weapons, but there have been suggestions it could ramp up uranium enrichment to future projects such as nuclear-powered submarines. The tougher line outlined by officials has not been made public and it's still unclear whether it will be adopted as a negotiating position. But the fact it's under review suggests Iran is eager for a sweeping deal to lift sanctions and could try to jolt the West with a now-or-never choice: Roll back the sanctions or face a stepped up Iranian nuclear program. "The West feels sanctions are biting and this is forcing Iran to return to the negotiating table. That's wrong. We never left the table. Sanctions have been harmful but will never make us give up our nuclear activities," said lawmaker Hossein Naqavi, spokesman for the parliament Security Committee. "Pressures, sanctions and military threats won't make us retreat." But Iran's deputy navy chief in charge of technical affairs, Adm. Abbas Zamini, said in June that Iran has begun "initial stages" of designing a nuclear submarine. The West has raised concerns that Iran might cite submarine and other nuclear-powered vessel construction as a justification for producing weapons-grade 90 percent enriched uranium.